More than 1,000 of the leading researchers in artificial intelligence (AI) and robotics today signed and published an open letter calling for a ban on offensive autonomous weapons, also known colloquially as “killer robots”. The letter has also been signed by many technologists and experts, including SpaceX and Tesla CEO Elon Musk, physicist Stephen Hawking, Apple co-founder Steve Wozniak, Skype co-founder Jaan Talinn and linguist and activist Noam Chomsky. Musk, Hawking and Wozniak have all recently warned about the dangers that AI poses to mankind. Though it has to be said, Wozniak thinks humans will be fine if robots take over the world; we’ll just become their pets. 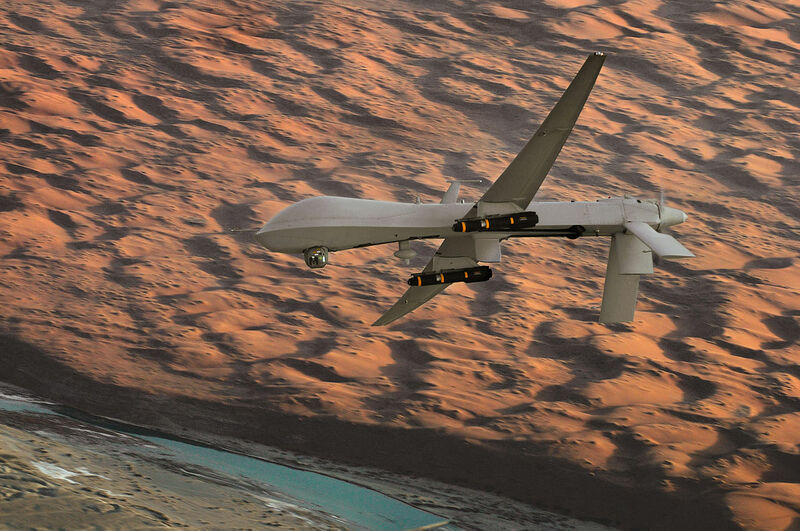 The open letter urges the UN to support a ban on offensive autonomous weapons systems. This follows the April meeting of the Convention on Conventional Weapons held at the UN in Geneva discussing such an idea. The letter argues that the deployment of such autonomous weapons is feasible within years, and will play a dangerous role in driving the next revolution in warfare. In the interest of full disclosure, I too have signed this letter. My view is that almost every technology can be used for good or bad. And AI is no different. We therefore need to make a choice as to which path to follow. Artificial intelligence is a technology that can be used to help tackle many of the pressing problems facing society today: inequality and poverty; the rising cost of health care; the impact of global warming, and many others. But it can also be used to inflict unnecessary harm. And now is the right time to get in place a ban before this next arms race begins. The open letter – reprinted below – gives a good summary of the arguments for a ban. In short, there is likely to be an arms race in such technology that will revolutionise warfare for the worse. It represents the first time since 1868, when the use of exploding bullets was banned, that a weapon of military interest has been banned before its use on the battlefield and before a stream of victims gave visible proof of its tragic effects. Of course, the technology for blinding lasers still exists; medical lasers that correct eyesight are an example of the very same technology. But because of this ban, no arms manufacturer sells blinding lasers. And we don’t have any victims of blinding lasers to care for. Similarly, a ban on offensive autonomous weapons is not going to prevent the technology for such weapons being developed. After all, it would take only a few lines of code to turn an autonomous car into an offensive weapon. But a ban would ensure enough stigma and consequences if breached that we are unlikely to see conventional military forces using them. This won’t stop terrorist and other smaller groups who care little for UN protocols, but they will be constrained on two levels. First, they’ll have to develop the technology themselves. They won’t be able to go out and buy any such weapons. And second, conventional military forces can still use any defensive technologies they like to protect themselves. With this open letter, we hope to bring awareness to a dire subject which, without a doubt, will have a vicious impact on the whole of mankind. We can get it right at this early stage, or we can stand idly by and witness the birth of a new era of warfare. Frankly, that’s not something many scientists in this field want to see. Our call to action is simple: ban offensive autonomous weapons, and in doing so, securing a safe future for us all. A press conference releasing the open letter to the public was held at the opening of the International Joint Conference on AI at 9pm AEST, July 28, 2015. 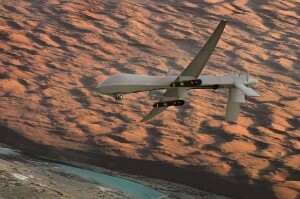 Autonomous weapons select and engage targets without human intervention. They might include, for example, armed quadcopters that can search for and eliminate people meeting certain pre-defined criteria, but do not include cruise missiles or remotely piloted drones for which humans make all targeting decisions. Artificial Intelligence (AI) technology has reached a point where the deployment of such systems is – practically if not legally – feasible within years, not decades, and the stakes are high: autonomous weapons have been described as the third revolution in warfare, after gunpowder and nuclear arms. Many arguments have been made for and against autonomous weapons, for example that replacing human soldiers by machines is good by reducing casualties for the owner but bad by thereby lowering the threshold for going to battle. The key question for humanity today is whether to start a global AI arms race or to prevent it from starting. If any major military power pushes ahead with AI weapon development, a global arms race is virtually inevitable, and the endpoint of this technological trajectory is obvious: autonomous weapons will become the Kalashnikovs of tomorrow. Unlike nuclear weapons, they require no costly or hard-to-obtain raw materials, so they will become ubiquitous and cheap for all significant military powers to mass-produce. It will only be a matter of time until they appear on the black market and in the hands of terrorists, dictators wishing to better control their populace, warlords wishing to perpetrate ethnic cleansing, etc. Autonomous weapons are ideal for tasks such as assassinations, destabilizing nations, subduing populations and selectively killing a particular ethnic group. We therefore believe that a military AI arms race would not be beneficial for humanity. There are many ways in which AI can make battlefields safer for humans, especially civilians, without creating new tools for killing people. Just as most chemists and biologists have no interest in building chemical or biological weapons, most AI researchers have no interest in building AI weapons — and do not want others to tarnish their field by doing so, potentially creating a major public backlash against AI that curtails its future societal benefits. Indeed, chemists and biologists have broadly supported international agreements that have successfully prohibited chemical and biological weapons, just as most physicists supported the treaties banning space-based nuclear weapons and blinding laser weapons. In summary, we believe that AI has great potential to benefit humanity in many ways, and that the goal of the field should be to do so. Starting a military AI arms race is a bad idea, and should be prevented by a ban on offensive autonomous weapons beyond meaningful human control. Toby Walsh is Professor, Research Group Leader, Optimisation Research Group at NICTA, Australia’s Information and Communications Technology (ICT) Research Centre of Excellence. This article was originally published on The Conversation. Read the original article.